There are fewer varieties of seed to sow this month but it's not too late to bring on carrots for autumn eating. 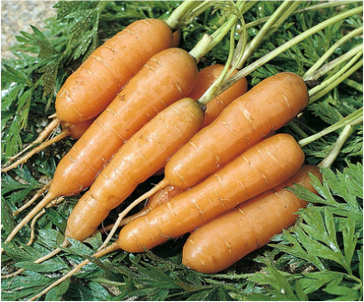 A fast maturing variety, Carrot 'Adelaide' can be planted right through July for an autumn harvest. ​This RHS AGM variety has quick growing roots that are crunchy and sweet. Height: 30cm (12"). Spread: 15cm (6"). Seeds can be bought from all major suppliers.